Sheley Howard Obituary - Newport, Arkansas | Jackson's Funeral Homes Inc.
Mr. Sheley Marshel Howard of Bradford, Arkansas, departed this life on Wednesday, January 10, 2018, at the age of 75. He was born March 25, 1942 in Newport, the son of Elzie and Clara (Bible) Howard. Mr. Howard retired from Norandal in 2007, after working many years as a Commercial Master Electrician. He had a strong work ethic, and a love of working. Mr. Howard enjoyed fishing, and raising chickens, quails, pheasants, ducks, horses, and cows. Most of all, he loved his family, always wanting what was best for them. Mr. Howard was preceded in death by his parents; one brother, C.R. Howard; and one sister, Freda Tubbs. 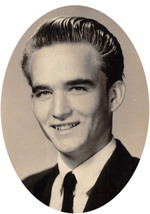 He is survived by his wife of 37 years, Barbara (Gann) Howard of the home; one son, Rickey Howard of Michigan; three daughters, Donna Hill of Sterling, Virginia, Laura Pry and husband, John of Diaz; and Kim McClellan of Possum Grape; one brother, Alfred Howard and wife, June of Horseshoe Bend; eight grandchildren, Rickey Howard, Jr., Hunter Howard, Justin Howard, Ashley Hill Herlihy and husband, Mitchell, Garrett Hill, Lexi Avance, Jack Pry, and Chris McClellan, Jr.; one great-grandchild, Jameson Herlihy; several nieces and nephews; and a lifetime of friends. Friends may visit at the funeral home, Sunday, 4:00-6:00 p.m. Funeral services are 2:00 p.m. Monday at Jackson’s Newport Funeral Home Chapel with Mr. Llano Robinson officiating. Interment will follow in Oakland Cemetery.